MANITOBA, Canada (WLS) -- The Royal Canadian Mounted Police has released surveillance video showing beer thieves in Canada breaking into a store with unusual costumes. 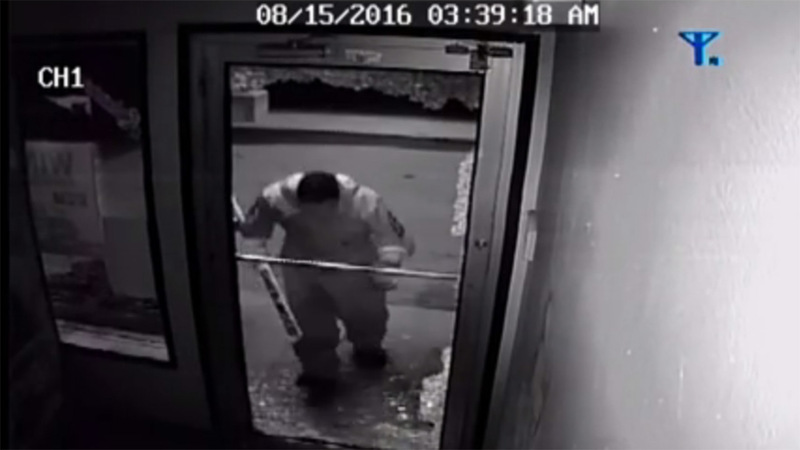 The video shows two people dressed in hockey gear breaking in and taking off with cases of beer. One of the men even had a goalie stick. The break-in happened in the Canadian province of Manitoba earlier this month. The Manitoba Royal Canadian Mounted Police posted the video on their Youtube page.